I received a bottle of Uni Organic Pure Moroccan Argan Oil for review in the mail, and I couldn’t wait to open it up and try it. I put a few drops in the palm of my hand and briskly rubbed my hands together to warm up the oil. The oil has a slight nutty scent that dissipates quickly. 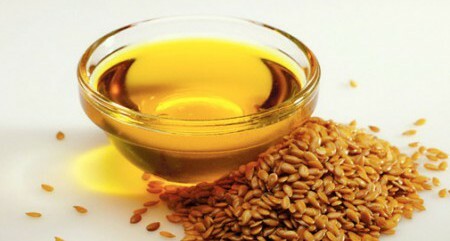 The oil quickly absorbs into the skin because it has a similar chemical composition to our skin’s own natural sebum. So your skin is not left feeling greasy, just soft and lovely. I have fallen in love with my UNi Organic Pure Moroccan Argan Oil and will definitely incorporated it into my daily routine. My skin feels and looks better than it has for years after using my new UNi Argan oil for the last few weeks. A little bit goes a long way. I just use a few drops at a time, warm it up in the palms of my hands and pat it on my face and neck after a shower. I have noticed an improvement in the skin under my eyes, the little fine lines and wrinkles look much more hydrated and less apparent. I warm up a few more drops and gently apply it all over my body focusing on any extra dry areas. While my hair is still wet and my hands still have oil on them I run my hands through my hair to add a little conditioning to my hair and scalp too. Argan oil is rich with vitamins A, E and D, essential fatty acids, phenols and phenolic acid, antioxidants, squalene, carotene, and sterols. Because of these special ingredients that Moroccan Argan oil possesses and its many benefits, it is also know as “liquid gold.” Argon oil is a plant-based oil produced from the kernels of the Argon (Argania Spinosa) tree. Argon trees live only in the semi-desert of South-Western Morocco and the Tindouf region of Algeria and can live as long as 250 years. Argan trees need at least 50 years to reach fruiting maturity. I am so glad that I was introduced to 100% pure Moroccan Argan oil by UNi. I know I can trust in the authenticity of their oils. UNi’s Pure Moroccan Argan oil has been graded and tested to be triple extra virgin quality ranking it to be the highest purity and the finest Argan oil in the market. It is USDA organic certified, non diluted with no additives or preservatives. The product is tested and bottled in strict pharmaceutical compliant facilities. Uni guarantees 5 Star Purity on all their Argan oil products. *If you like the review on Amazon please click “YES” this review was helpful.